We can still talk about summer, yes? Good, because I have some things I need to share, for the sake of my 2014 blog book and the fact that if I don't write about it online, it never happened. 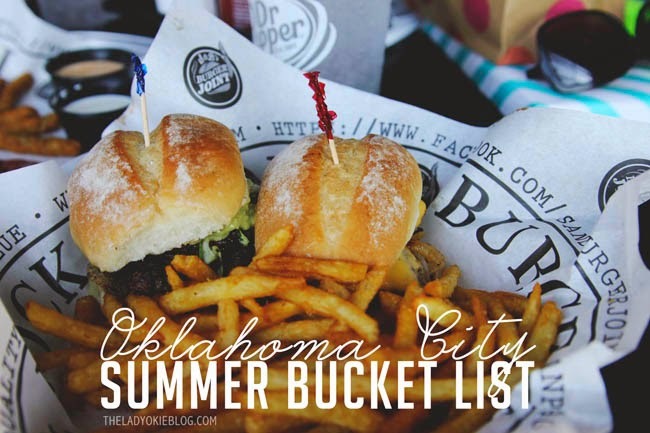 This summer I was able to cross some things off my unofficial OKC summer bucket list. I say unofficial, because I didn't officially create a summer bucket list. But I had one going on in my head, which is basically the same thing. 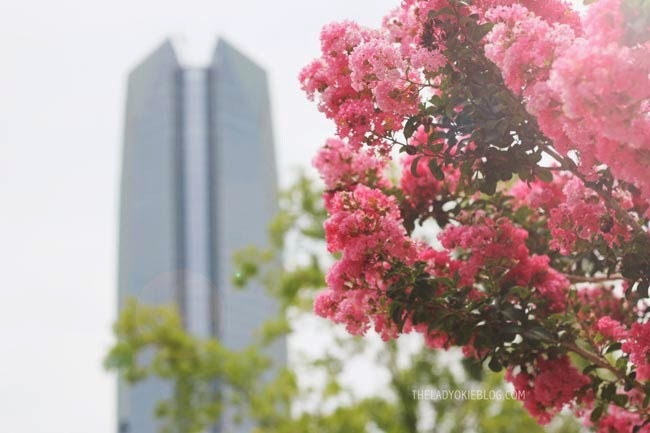 Remember when I took you on a tour of downtown OKC and showed you the Myriad Gardens? 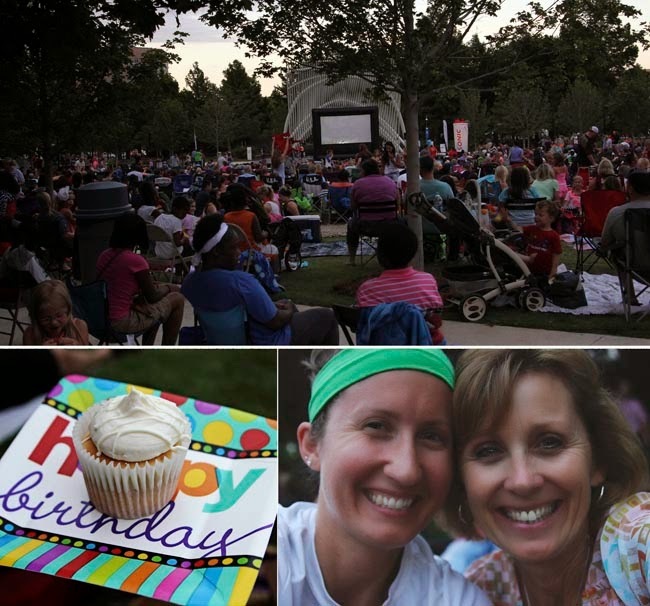 Well, every Wednesday night during the summer, they showed movies outside on the lawn. My birthday was on a Thursday this year, and my mom drove up on Wednesday to hang out and spend the night. I decided it was the perfect time to check out the outdoor movie! And guess what? They were showing Frozen! That's what you call killing two birds with one stone. Or, I guess three birds. Watch Frozen. Check. See outdoor movie. Check. Eat birthday cupcake. Check. 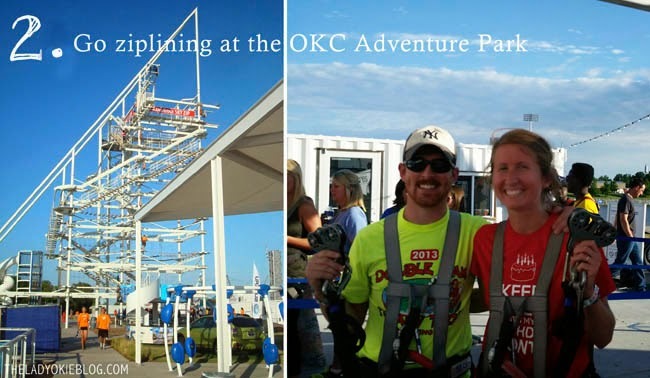 I know I already talked about how ziplining across the Oklahoma River was kind of lame. But this was before we went ziplining in the jungle of Nicaragua, so it wasn't that lame yet. And we did have fun. Plus, I wore my sweet birthday shirt, so there's that. I'm so glad I got to do this! 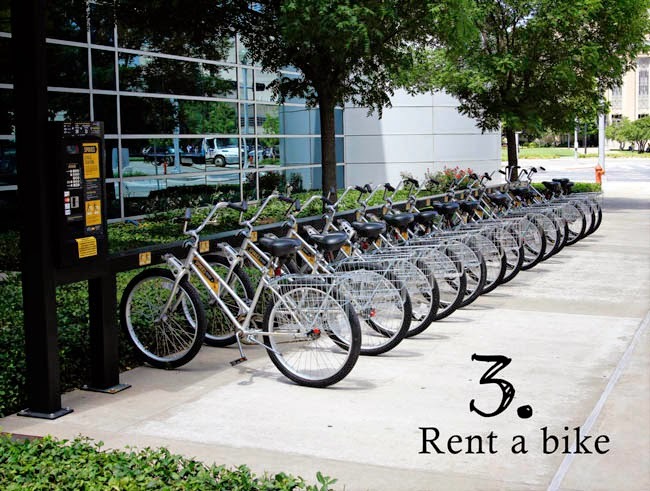 I mentioned in my OKC tour that we have a rent-a-bike program where you can rent a bike in one location, ride it around for a while, and return it to another location. Well, when Beka drove up for our birthday blogger date, we went biking together! It was really fun even though we couldn't figure out how to get our bikes unlocked once we checked them in at the docking station, so we ended up having to walk all the way back to our car. Oh well. 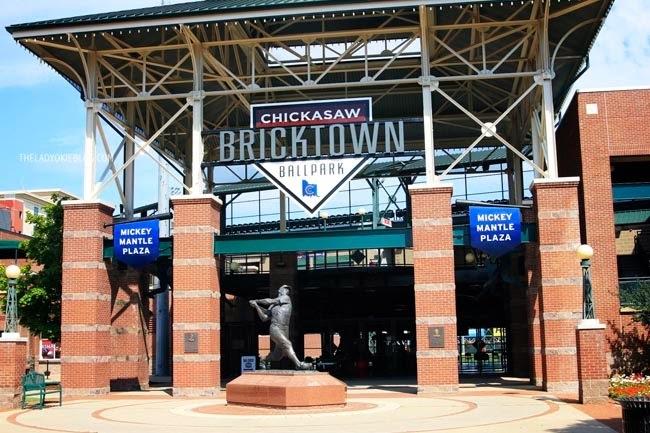 I showed her around Bricktown, and we had dinner at S&B's Burger Joint, and it was lots o' fun. 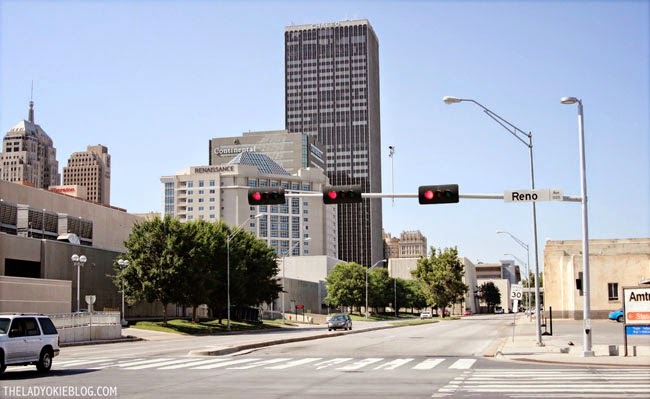 Did you know that Oklahoma City has an entire underground tunnel system? Because it totally does. There are shops and restaurants down there and everything! I'd heard about the tunnels but could never figure out how to get down into them. Then one afternoon in July, I convinced my boss to let us take a field trip into the tunnels. Secretly I just wanted someone to show me where they were. I went back for my birthday lunch! There's a de-freaking-licious Chinese place down there that my friend Liz recommended, and it did not disappoint. Above is a picture of me in the Chinese place on my birthday. My mom was like, "Wear this crown and go stand in the corner and take a picture." So of course I did, because I have no shame. If you ever come visit OKC, I'll have to take you down to the tunnels, and we'll eat Chinese together. It will rock your world. 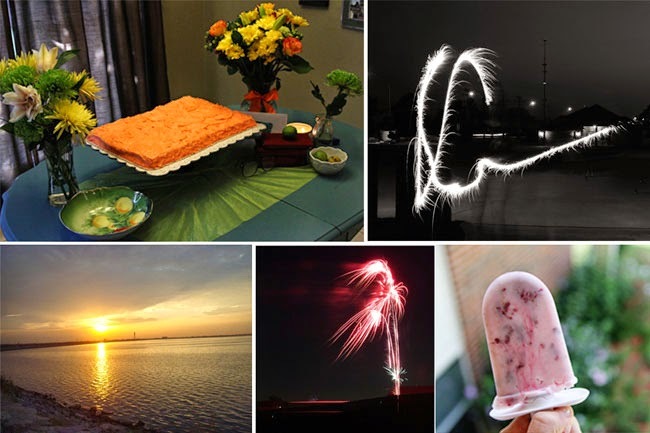 Bucket lists and birthdays and fireworks and homemade popsicles and weekend long runs facing the sunrise. >>What did you cross off your summer bucket list? Oh wow! The tunnels sound like a fascinating place to visit! Looks like a fun summer. I enjoyed the photos! Tunnels? How do I live here and have no idea about this?! And I like Chinese food...well, if its real Chinese food that is! Cool bucket list! Tyler went ziplining there a couple weekends ago and loved it! I'm too chicken so I just watched him do it. I might...just might...work up the bravery to do it one day. Tunnel Chinese!!! nom nom nom! Oh my goodness, you seriously had a great summer!!! I can't believe its September already, either! I'm (not-so) secretly loving it though, Fall is where I belong! wow, you've done some really fun things, who knew in okc?! I kid, i kid. So awesome! I love that you actually DO stuff in your town! We don't! haha, we need to be more adventurous!! I thought most of the shops and restaurants had closed in the tunnels...especially after the flooding last spring. Guess I was wrong. How fun! And you and your mom look so much alike...so pretty! Thanks! People do say we look alike! I love this! 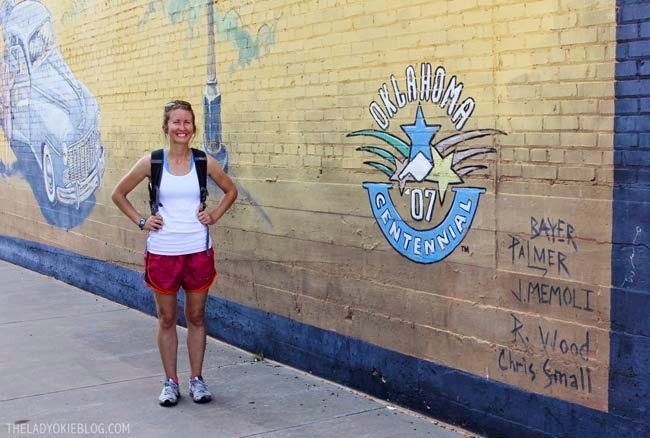 Blogging has made me want to travel to just about every single city in the U.S., OKC included! :) I'm excited Cincy is rumoring to get a rent-a-bike coming to our area, yay!! So many fun things! The underground tunnels would be so fun to explore. I have not seen Frozen, now that you have seen it I may be the only person left who hasn't seen it. That will be so fun! I love that you're doing that. I'm in denial too about summer being over. I'm not ready for colder weather! Fall doesn't officially start until September 22, so as long as the warm weather is still holding up, it's still summer in my books :) I love that you have a photo to hold the memories of everything you did on your summer bucket list! I make one every year but somehow items always get missed or I end up with no photo evidence. 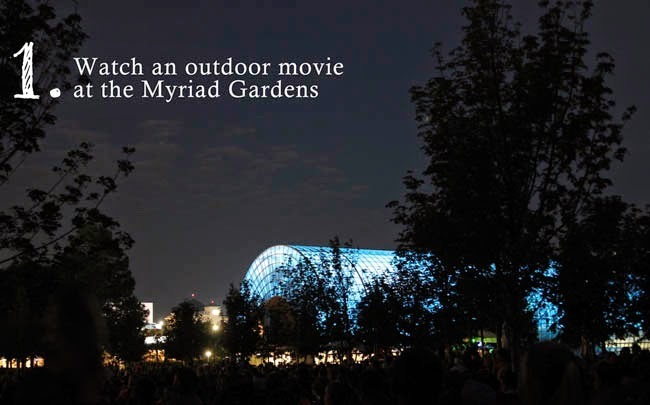 The movie in the garden looks spectacular. What fun! I definitely want to see that underground tunnel system! I didn't know that existed! We also just did the drive in for the first time with Abigail and holy cow we loved it so much! I need that birthday month shirt. September is my month, girlfriend. I love that you have an unofficial bucket list because I thought I was the only one that did! And where did you find that gem of a birthday month shirt? Because I could sure use one next may! My bucket list was short- camp 3 times and hike two 14ers. I'm still trying to get my second 14er in before winter hits, and I was thrilled to hit my camping 3x goal. Seemed kind of lame but between working every other weekend and having 3 weddings to go to I was excited we managed 3 trips! So, way that is awesome! I haven't been camping ONCE this summer, so you definitely win. And we don't so much have mountains in Oklahoma so.... haha :) Sounds like you've been enjoying the outdoors this summer, which is so fun! I love this list. It made me remember all the fun things that we did in OKC. I loved those bikes too. 1) You finally saw Frozen!! How did you like it? 2) That picture with the pink flowers in the foreground is so gorgeous! 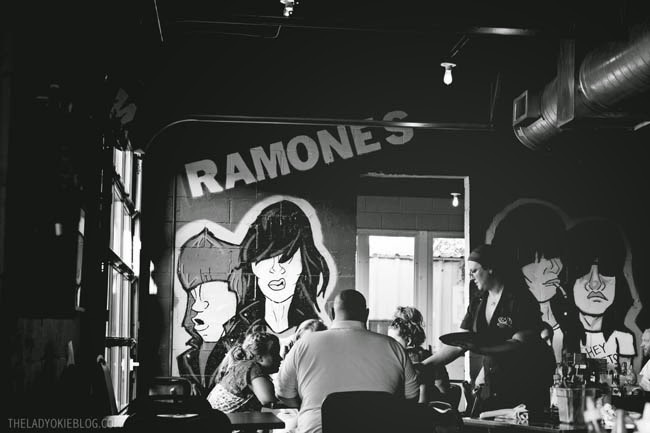 3) You MUST eat there if you're ever in OKC. It was gooood. I looks and sounds like you had a lovely summer! How fun you and beka had a blogger date for your birthdays!!! I am having a hard time with the fact that it's September already too! Such is life right, enjoy the present moment! Oohhh yes, I wanna see the tunnels and eat delicious Chinese food! I'm picky with my Chinese food though. :) Is it Chinese Chinese, or Chinese American food? 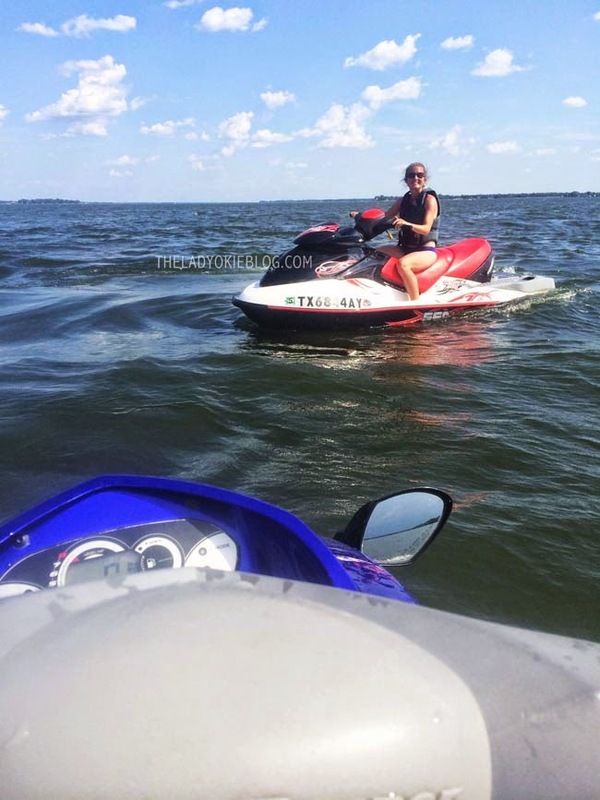 It seems like you had a great summer! And high five for a summer birthday -- I'm a summer girl, too. Where I live has this one underground tunnel that is just a walkway but I could never figure out how to get to it either and then when my family visited I was like hey where did those people walking just disappear to and then bam I found the tunnel entrance and made everyone go in it! Ha! That is awesome. I felt like I had discovered a secret passageway when I finally discovered how to get in there! Downtown Tulsa has a tunnel system too! Not very many shops down there but some. It's pretty cool. I took my class on a walking tour one day and we made sure to visit them. Oh this makes me happy! You did a few things I really want to do (I have to wait to go ziplining until after baby but I really want to!) I have actually never been in the tunnels before and I am from OKC... sad. What?!?! There are tunnels?! With Chinese food?! I've lived in Oklahoma my entire life and had no idea this existed. I must check out this tunnel business! You had such an amazing summer! You make OKC look so cool! 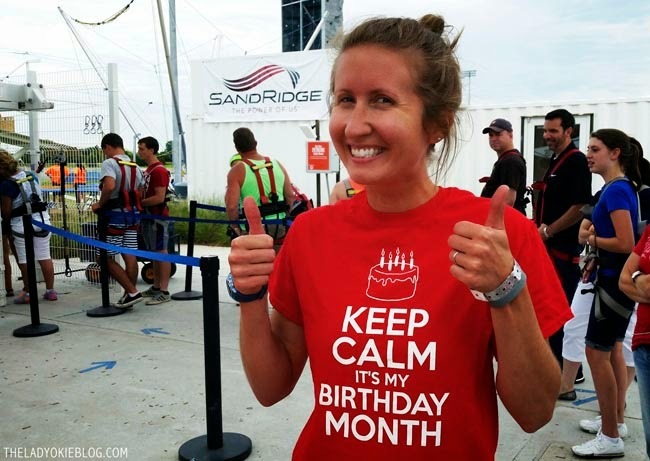 Where did you get your birthday month shirt? I want to get one! Sounds like you had an awfully fun summer! We went to an outdoor movie this summer too. I love the atmosphere and sometime want to do an actual drive-in, which I've never done. Seriously, if I'm ever in Oklahoma City...and we used to always drive by on our way to Dallas...I want to go in the underground tunnels. Tunnels are a little bit like caves, and thus awesome. And with everyone talking about summer ending I'm so happy I moved away from a land with distinct seasons just in time! Tunnels in OKC?! How did I never hear about this when I lived in Oklahoma? That sounds awesome! Such a fun summer! Mine has been so uneventful it hurts. Too much work, too little time. Sounds like a great summer!! I love your Birthday Month tee!! So cool about the tunnels...I want to go!! Also, I have yet to see Frozen (oops) :) I feel like the summer flew by this year. I'm moving to Tulsa in November. I've yet to visit OKC. 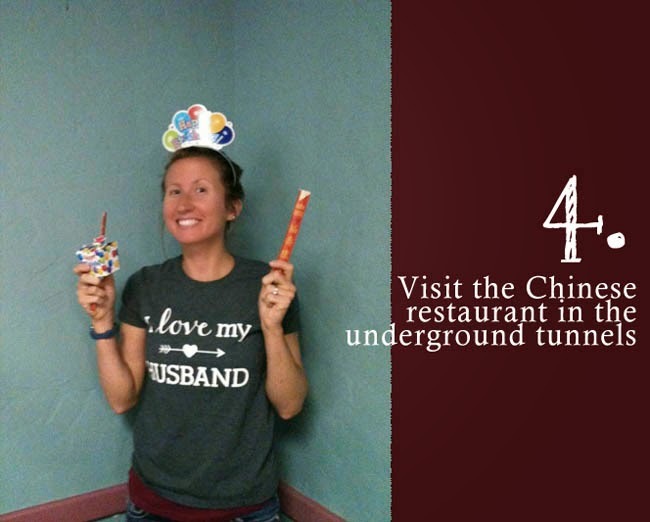 I must check out the Chinese restaurant underground though. It sounds awesome! Copenhagen Bike Hire Reserve best luxury motorcycle rental, bike rental service, rent a christania. Enjoy best place in Miami via luxury bike.